There actually are a few scarf manufacturers that offer to make your custom scarf at the comfort of your own home. But the point we want to make in this post is that the classical football or soccer scarf is with good cause a knitted one. Period. Printed scarves may have more colors, embroidered scarves may be good for very small and detailed logos. But the real deal for footy, soccer and football fans is the knitted scarf. It will first of all keep you warm in winter (or the English summer). Also it will give you a warm feeling around your rough neck, And what is most important in terms of scarf design creation: the whole scarf can bear your design, logo, team name etc. For the colors of course, it is up to you if you want the design in black and white, red and blue or red, green white. In any case, you can use the whole space allover. 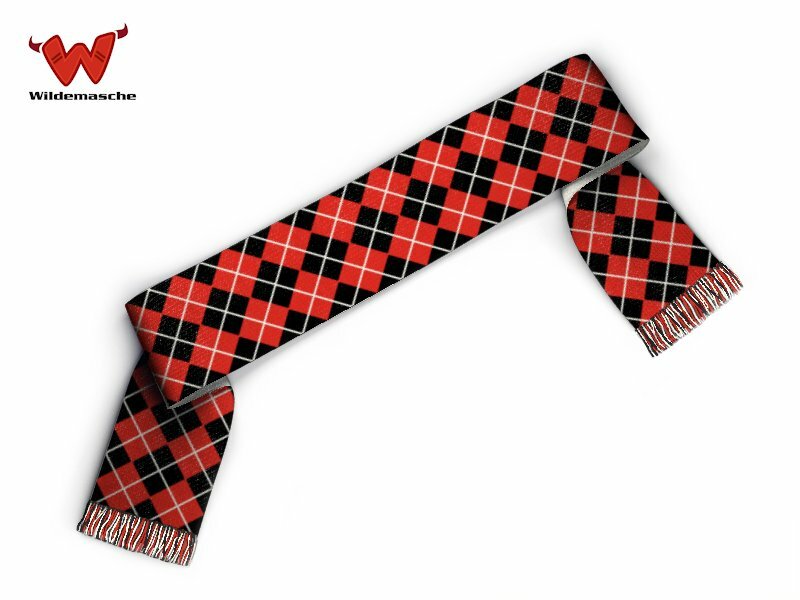 This entry was posted in Designs and tagged custom scarf, design, football scarf on May 29, 2013 by user2. Bender: Ahhh, what an awful dream. Ones and zeroes everywhere… and I thought I saw a two. Fry: It was just a dream, Bender. There’s no such thing as two. Well, of course there is. Just enter your custom text and create your personal, digital scarf. Compile as you like, you won’t run into any errors when entering a two. This entry was posted in Designs, Football scarf and tagged digital, football scarf on May 24, 2013 by user2. Just a few hours, then the final of the two best European football teams will be held at Wembley stadium in London. For the football connaisseur, it’s no surprise that two German teams made it to this final: Borussia Dortmund and Bayern München. A lot of drama has been ahead of this historic match, with Mario Götze being not able to play, Dortmunds coach Jürgen Klopp giving a big interview in the British Guardian, and fans around the world waiting for the big match to begin. To give you an idea of how a match scarf can look like, we have two “Finale” scarves here. It may be a bit late for ordering exactly these ones for saturday, be you can in any case create your own match scarf at Wildemasche. So next time you play a final with your team, be sure to order in time, so you can offer nice knitted neckwarmers with your logo or text. 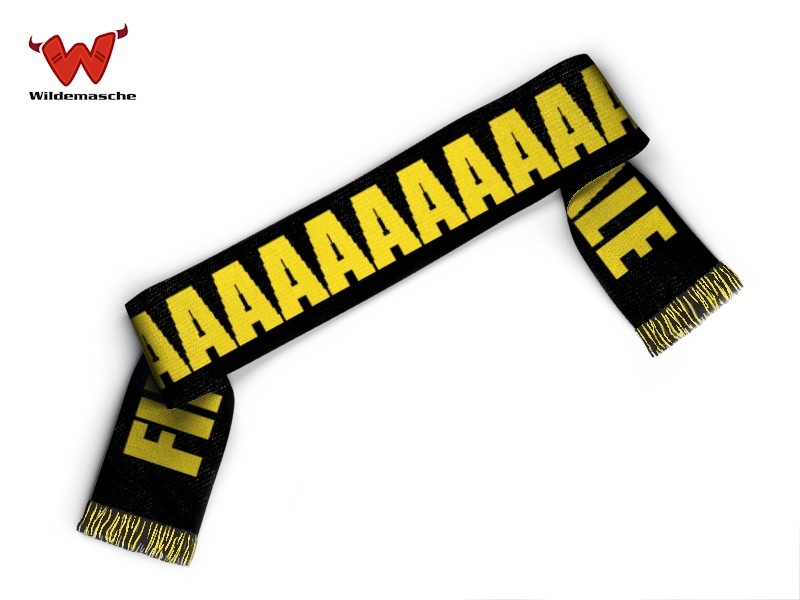 This entry was posted in Designs, Football scarf and tagged final, football scarf, match scarf on May 23, 2013 by user2. Yes, this is something Wildemasche is really proud of: we offer global scarves, produced in Germany and sent out to our customers worldwide. No matter which quantity you need, Wildemasche provides your custom scarf without any minimum order quantity. Well, to be exact, there is the MOQ or 1 piece. So start designing your custom scarf today, and order online. The true icon of support, as the football or soccer scarf is sometimes called, can be delivered with Eco, Standard or various express services to any destination worldwide. This entry was posted in Online Shop and tagged international scarves, worldwide delivery on May 18, 2013 by user2. You will ask yourself this question when you come to the Wildemasche Shop and start designing your scarf. It is important to decide which type of knitted scarf should be designed and ordered, because the template for each type has some different specs. First of all, all the scarves you get at Wildemasche are knitted scarves. So we kind of disappoint those who seek a printed or embroidered scarf. We are sorry this is something we do not offer. Nevertheless, you get a plethora of design possibilities for your knit scarf: any graphic or image can be knitted in a scarf. Of course, some restrictions apply, These are mainly the size that a design has to be reduced to, and the number of colors. But taking these points into consideration, you will get the scarf with the design of your dreams. So here we have a Football Scarf Argyle pattern. The scarf comes with fringes/tassles, these are made from all the colors that are in the scarf. Front and backside can be designed independently, and up to 5 colors can be used in the whole scarf. This design can be done online, or you sent in your design with email. 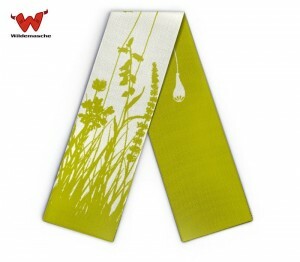 The other type of scarf you get at Wildemasche is the design scarf. This one here has a flower pattern. The main specs for this scarf are: it is a knitted scarf, up to 2 colors can be used, the backside is mirror inverted to the front side. Thus, it can be worn with one or the other side to match the rest of your outfit. All specs, more samples and all the other information about custom scarves can be found on the products comparison page. This entry was posted in Online Shop and tagged design scarf, fashion scarf, football scarf on May 17, 2013 by user2.